What to do if you accidentally pay an invoice, a check bounces, or you need to mark an invoice as unpaid. 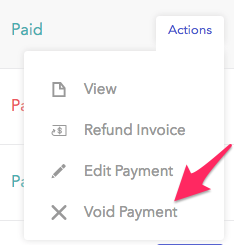 While it is not possible to physically delete an invoice (these remain on the dashboard for record keeping purposes) you are able to edit the status of an invoice paid with cash or check. For details about paying off invoices with cash or check, please see here. For information about refunding invoices paid with ACH or Credit Cards, please see here. 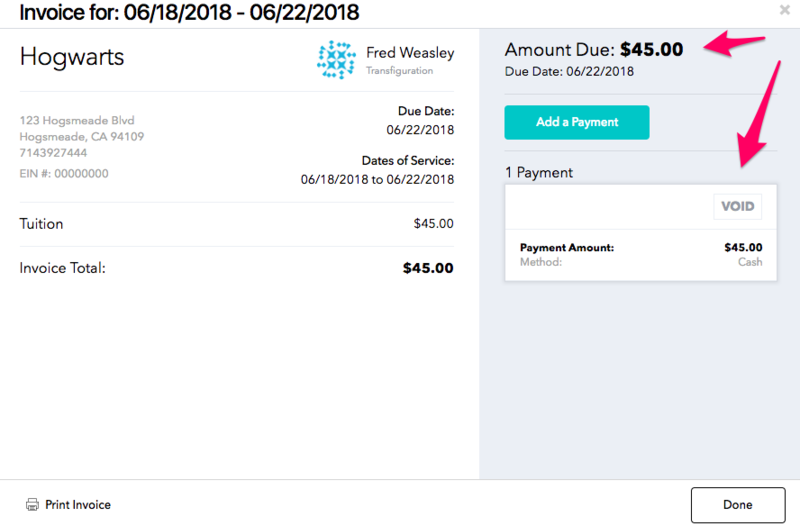 To get started, navigate to Billing>>Invoices and select Options next to the invoice paid with cash or check whose status you'd like to edit. 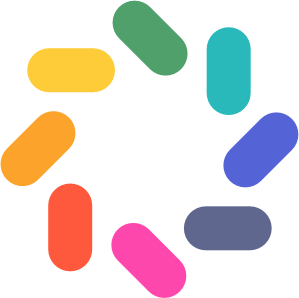 You will then select Manage from the Options menu. You will then be prompted to enter the reason and any notes you may have and then select Save. 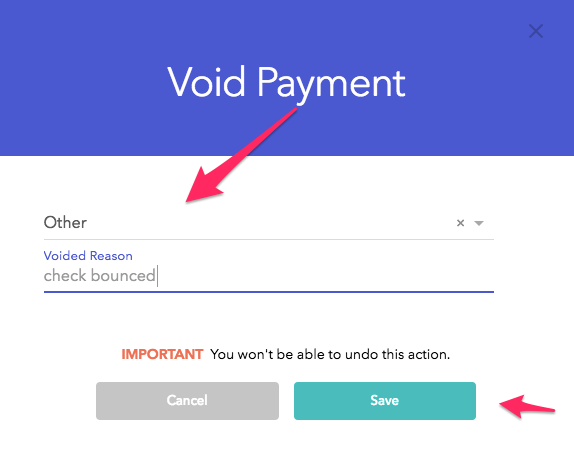 You will then be able to see the status now listed as Void in your invoice and the amount due set back to the correct total!